Long time no see, eh? Haha! I just thought I would do a quick post to apologise (Have I spelt that right?) for the fact that I haven't been on here or posting anything recently. It's all thanks to being in year 11 and having about a million essays to write each week along with another million exams to revise for. Gosh isn't being this age so much fun?? Hopefully I shall be posting more regularly now however the exam season is fast approaching so I wouldn't count on it if I were you. But I will try! Maybelline Dream Fresh BB Cream - £7.99 (May vary) I wouldn't be exaggerating when I say that I think I wore this every single day of January. It is absolutely perfect in every way! It is the first BB Cream I have ever used and I definitely know I won't be returning to foundation any time soon. I love how light and natural it looks on my face, and it covers up blemishes without looking 'caked on' The fact that it is oil free and contains SPF 30 is an added bonus! It's fair to say that this is one of the best products I have ever used and I will certainly be repurchasing it in the near future! Extracts Fairtrade Cocoa Butter Sugar Scrub - £7.95. As a big fan on Soap and Glory and someone who uses their sugar scrubs on a regular basis, I was skeptical at first about using this, especially since the price is very similar to soap and glory's. However I was so pleasantly surprised and I have thoroughly enjoyed using this! It smells so delicious, good enough to eat, and I love how soft it leaves my skin! It has also lasted a very long time and you definitely get your moneys worth! I also love the fact that it is fairtrade! All in all, a very lovely sugar scrub! Cross earrings (Primark) - £1.50 for pack of two. I have been wearing these little earrings so much this month! I don't know what it is about them that I like so much, they just seem to go with every outfit and I love how cheap they were! TRESemme Extra Hold Hairspray - £4.69. 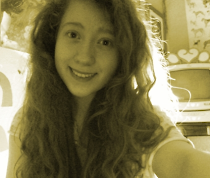 I don't seem to use Hairspray that often, simply because I have a tendency to forget in the morning! But I have been really enjoying giving my hair a little spray of this before heading out the door. I walk to school everyday and since I live relatively far from school my hair tends to fall out of place due to the wind, rain etc. Using this has really made a difference and my curly hair looks much less frizzy! Aussie 3 Minute Miracle Frizz Remedy - £4.99. I could not imagine life without this right now. I genuinely don't know how I managed before i bought this. For those of you with curly hair, I'm sure you're all aware of how frizzy your hair can get and how difficult it is to manage this frizz. This little beauty however, banishes all the frizz, leaving your hair so silky and lovely! I would definitely recommend this wonderful little product! Burt's Bees Milk and Honey Body Lotion - £7.99 (for a larger tube) Ahhhhh I could spend a whole day smelling this wonderful body lotion and call it a day well spent! This smells beautiful I seriously can't get enough of it! It is so lovely and sweet, yet not too sickly, it's just perfect. So perfect. asdfghjkl If you ever have the pleasure of smelling this product, you are one lucky person because it is like heaven in a bottle. Oh, and it leaves your skin smooth too. Now time for a couple of songs I have been loving this month! Keri Hilson- Pretty Girl Rock. Do any of you guys remember this song?? I used to love it and I have just rediscovered it! It brings back a lot of memories! So I hope you all had a lovely January and I hope February is a wonderful month for you too! Thankyou so much for reading this! And as always, please feel free to comment below suggestions of how you think I could improve blogging!!! 1. Clean and Clear dual action oil-free moisturiser - £3.59. I really need a new moisturiser and this one looks really good. 2. Rimmel stay matte pressed powder - £3.99. I have heard so many good things about this so I can't wait to give it a try. 3.Sleek makeup honour blush - £4.29. I just love sleek blushes!! 4. H&M ladies blouse - £12.99. I have such a big love of blouses and i'm always looking for new ones to buy! This one stood out to me and I just love it! 5. New Look Pink Button Back knitted jumper - £12.99. I also have a big love of baggy sweaters and jumpers and as spring is fast approaching this one seemed most appropriate. 6. Topshop 3 colour block shirt - £34. This is not a shirt I would usually go for as it is quite unusual but I really love it! Thankyou! Have a lovely day!!! First and foremost, HAPPY NEW YEAR! I wish you all the best for 2013 and I hope it's a really great, happy and safe year for you! Likewise I hope that you enjoyed 2012 and I hope you created some wonderful memories from it :) Have any of you set any resolutions? I always do as I think they're really fun and a nice way to start the new year however I don't think I have ever been successful with them however this could be the year to change that! (probably not) Anyway, I wish you the best of luck with your resolutions and hope that you do a better job than myself and more importantly best of luck for 2013! So in this post I will be showing you some of the gifts that I received this year for Christmas! Before I begin I would just like to make it clear that of course, I am not in any way bragging about what I got, the only reason I am doing this post is because I personally love seeing what other people got and getting inspiration for future presents! I can understand why this post may give that impression but I promise you, I am not writing this post with the intention to boast! (Ahhhhh that rhymed!) Also, I am so, unbelievably grateful for all the gifts I was given and I appreciate every single one of them :') Okey dokey, now that that is done and dusted, here is what I got for Christmas! A selection of products I got in my stocking and under the tree. My Mum got me this amazing Burts bees set! My Dad bought me these two books that I have been wanting for ages! Hahaa! Both my brothers accidentally bought me the same thing! Knowing that I adore Disney, in particular Tangled, they both went out and bought me a Pascal (the chameleon from Tangled) plush! So I now have two Pascals and I can't complain! I love them both! One of my brothers also gave me an adorable Stitch necklace and a keyring that he ordered from ebay which is from Disneyland! Lastly my big present which I am so excited about, was this fujifilm finepix S4500 camera!!!!! So now I can take pictures with much better quality! I was also given lots of clothes too! Thankyou so much for reading this post and happy new year! Hello lovelies! Happy Boxing day! I hope you had a wonderful Christmas and had a lovely time and I hope Santa brought you everything that you wanted. I'm currently sat here having not eaten breakfast regretting how much food I ate yesterday. Oops. I hope the same doesn't apply to you. So on to the actual point of this post, I have decided to have a go at a Tag. Yaaay. 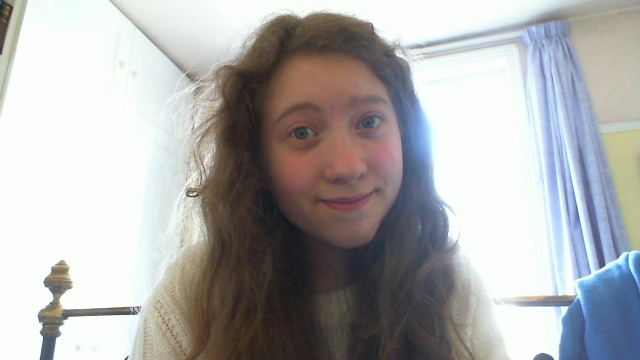 A while ago I was tagged by Niamh (go follow her!) to do the Holly Jolly Holiday Tag but never got round to it, so now seems like a perfect opportunity to do it as I have literally nothing to do. I realize that this tag should probably be done before Christmas during the run-up to it but hey, I'm sure I can get away with it. 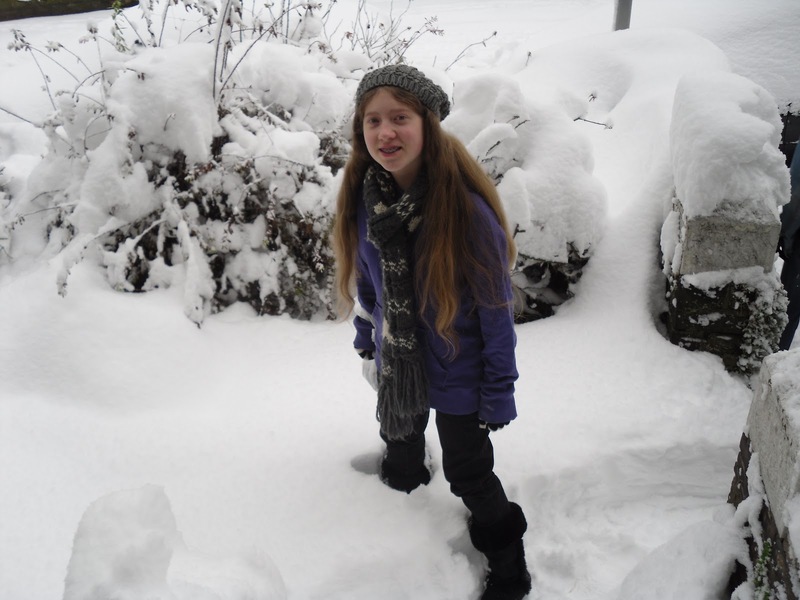 12 year old me in the snow! Ahhhhh for me this is the hardest question I could ever get asked. There are so many movies that I have to watch every year, without fail, otherwise Christmas wouldn't be the same! I think i'm going to have to go with The Grinch simply because I have loved that ever since I was little, plus Jim Carrey just cracks me up! I also love The Muppets Christmas Carol, for similar reasons in that I loved that when I was younger (although I found it quite scary!) I also love Jingle All The Way! That is a hilarious film with Arnold Schwarzenegger! Oh and Elf of course! Augggh there are just too many films! 2. Are you on the naughty or nice list ? Gosh...I don't want to jinx anything but I hope that i'm on the nice list! 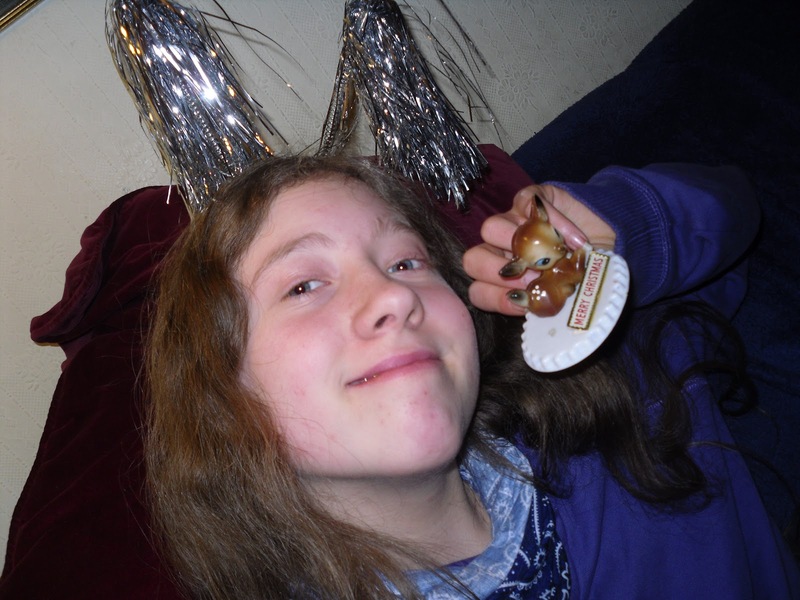 As a family we never took photos together and sent them out so i'm afraid I genuinely don't have one to show you however when I was about eleven or twelve I took this hideous selfie with my favourite decoration whilst decorating the tree (I think I was joking! Or at least I hope I was...) and ever since I have been so ashamed of myself! What was I thinking?! You can see my braces through the corner of my mouth, I seem to be wearing some sort of scarf/bandanna thing around my neck (?) and my hair....well let's not go into that. So there, now everyone can see this horrific picture of an eleven year old me. Splendid. Yes! I have a few times! 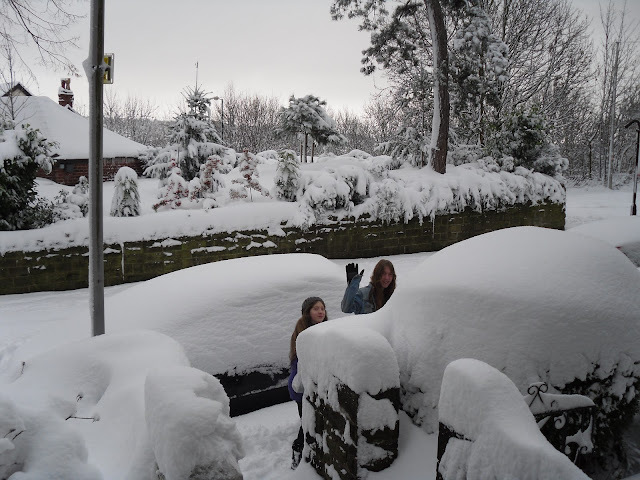 Yet one year we were lucky in that it snowed absolutely loads and it ended up being very deep! Usually it's just a very thin layer of snow but a couple of years ago it was amazing! Here's a picture of me and my brother that year, a few days before Christmas going off to the park! To me, that really was the best Christmas simply due to all that snow we received and all the snowmen we made and snowball fights we had! Unfortunately it didn't snow this year which was a shame as I think it really adds to the excitement of Christmas! I don't think I have ever had a Christmas away from home and if so I must have been very young. We always stay at home and then visit our relatives the day after boxing day. 6. Play or sing your favourite Christmas song! I think this must have been a youtube Tag haha! But if I had to pick a favourite Christmas song...ahh it's like with the films! There are just too many! I mean I love Mariah Carey's 'All I want for Christmas is you' and Slade's 'Merry Christmas everybody' oooh and Shakin Stevens 'Merry Christmas everyone' but this year I have really been loving Michael Buble's 'Baby please come home'. Again, I just love Christmas music and Christmas really wouldn't be the same without it! No, I can't say we've ever done that before. I might open a Secret Santa present a few days before but I never open any presents on Christmas eve. We leave all the present opening for the big day! Ahh maybe..I don't know! Rudolph, Dasher, Dancer, Prancer, Vixen, Comet, Cupid, Donner and Blitzen. Is that all of them? Arggh it's hard! In my family we have so many traditions and i'm always creating new ones! We always hang decorations above all of our bedroom doorways, take our dog to the park and have a little get together with the other dog owners on Christmas day, drink hot chocolate before opening the presents under the tree but my favourite is probably when me and my brothers get up on Christmas day, we make our parents a cup of tea and then as a family we all open our stockings together and see what Santa brought us! It's a lovely way to start Christmas day and I always look forward to it! We always have a real one, I just love the smell of it! Although i'm sure it's much easier and more convenient buying a fake one, we just have to have a real one! 11. Hands down, what is your all time favourite holiday food and holiday sweet treat? Does hot chocolate count? I aaaalways drink that around Christmas! I also love munching on thorntons chocolates! 12. Be honest, do you like giving gifts or receiving gifts better? I'm not going to lie, I adore receiving presents! Who doesn't? However I love the thrill you get when you find a present that you know someone will really love! It makes Christmas so much more exciting as I always look forward to seeing their faces when they open it! Like I said, we never go anywhere for Christmas so of course I love just staying at home. However it would be awesome to go somewhere where it's guaranteed to snow during Christmas, somewhere like Alaska! Also i'm sure Disneyland is pretty amazing around Christmas time. 14. Does your family have a special holiday recipe you like to make? Hmmm..I don't think we do to be honest. I suppose, as we're vegetarian my Dad always cooks this nut roast as opposed to a Turkey so does that count? 15. Are you a pro-present wrapper or do you fail miserably? I fail miserably without a doubt! I wish you could see the presents that I wrapped this year! They were so awful! 16. Most memorable holiday memory? Awww, well Christmas is so full of memories it's hard to pick one! Once the tree fell on my Dad! That was hilarious! Haha! However one Christmas when I was very young, i'd say about three or four, I woke up at around 3am on Christmas day and saw my stocking full of goodies so I grabbed it and went and sat outside my brothers' (who shared a room at the time) bedroom. My oldest brother must have heard me and so he came and told me to go back to sleep but I just said to him "No it's ok, i'll wait" not realising how early it was! In the end after some persuasion I went back to bed! 17. What made you realise the truth about Santa? Awww do we have to talk about this?? It's too sad! I still leave a note along with a mince pie and a glass of milk for him! I fail to believe that he is not real! Anyway I don't think there was a specific moment of realisation, I think it was more of a gradual thing that happened over time. 18. Do you make New Year's resolutions? Do you stick to them? I always make them! But they're always the usual! Exercise more, save money, do homework and revise more, go to sleep on time, etc! But sadly, no, usually by February all hope of ever exercising more has vanished! 19. What makes the holiday special for you? Awww a nice little question! I really love just spending time with my family and being able to relax. The atmosphere around Christmas is so wonderful! it's a really lovely time of year and everything about it is special! Thankyou ever so much for reading this rather lengthy post! It really means a lot to me! As I have already said, I hope you all had a truly magical Christmas and are enjoying your holidays! And if I don't see you before then, happy new year! Best of luck for 2013! 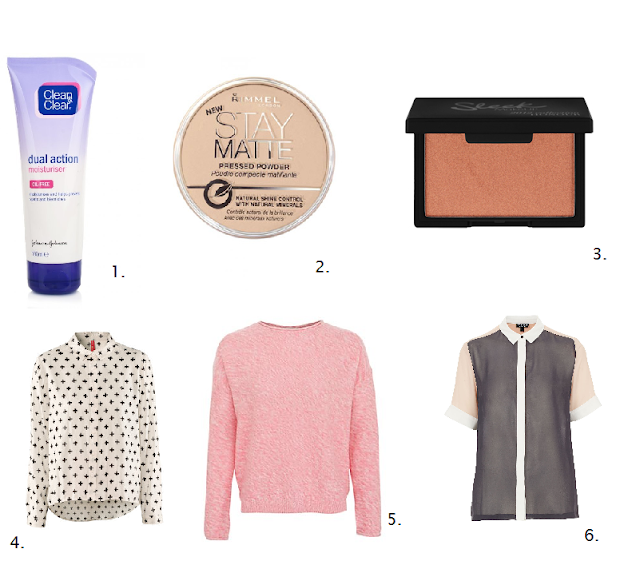 Batiste floral and flirty blush dry shampoo - This has been my little lifesaver this month! My hair is an absolute nightmare if I don't wash it but as washing my hair is time consuming, I don't wash it as frequently as I should! But with this little beauty, I didn't have to worry about bad hair days (which I have a lot!) as it leaves my hair feeling healthy, grease free and smelling wonderful :) Thankyou batiste! Collection 2000 shimmering glow powder on 4 espresso - I bought this at the beginning of November and the first time I wore it was on bonfire night and straight away I just loved it! It gives my skin such a healthy, natural looking glow that doesn't look at all fake! An added bonus is that pound land have now started stocking it, so it's incredibly cheap! I love it! 2true eye defining twist & line no 8 black - I'm usually skeptical when it comes to buying products from brands such as 2true as they're so cheap and I assume that the quality of them will be rubbish. So when I bought this my expectations were not very high. But how wrong was I? I have been wearing this every day, without fail, all month! It applies brilliantly, lasts all day and doesn't smudge unlike most pencils! I don't know how I have managed without this! I will deffinately be repurchasing! 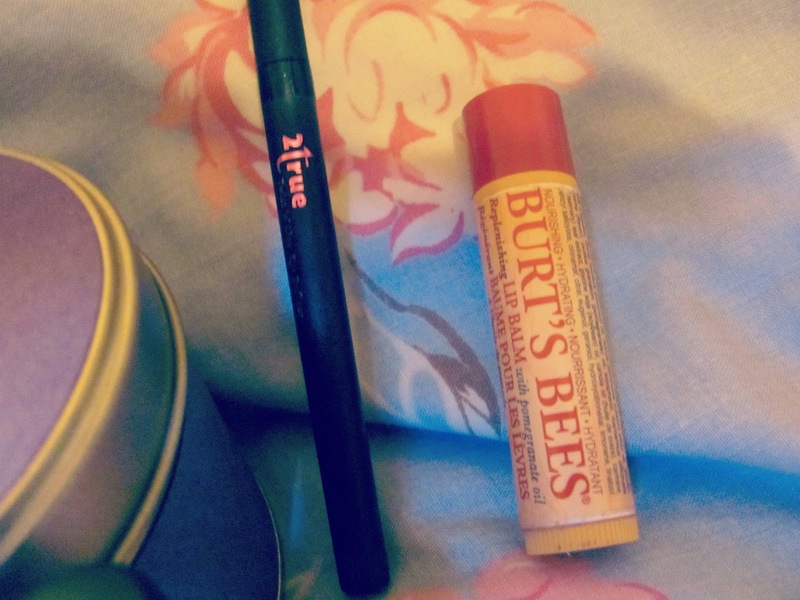 Burts bees lip balm with pomegranate oil - Since the transition from summer to autumn/winter my lips have been getting increasingly dry and chapped but i've been carrying this little lip balm around with me and it has helped me so much! It smells gorgeous, feels great on my lips and gives a nice subtle shine to my lips. I'm a huge fan of Burt's bees and I would recommend all of their products! 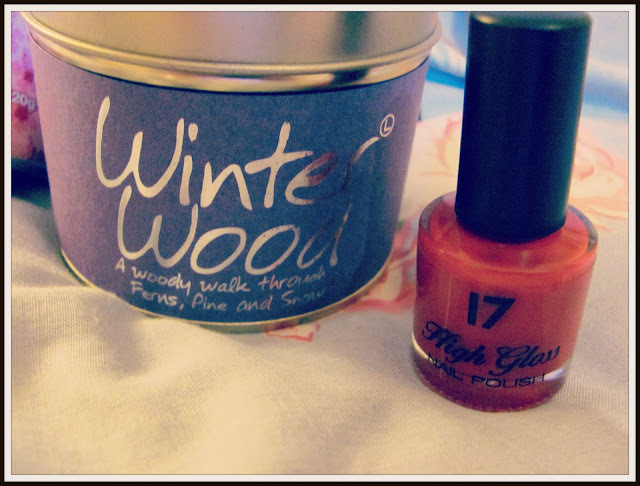 17 fast finish nail polish in Ruby dazzle - I have been wearing this gorgeous nail polish so much this month! I am so terrible at applying nail polish and it always end up looking uneven and messy but I found it applied perfectly and appeared so smooth on my nails, my friend actually complimented on how well she thought I had painted my nails! It is very cheap as well and I would deffinately recommend it if you, like me, struggle at putting nail polish on! Eyelash curlers - I'm afraid I can't remember where I originally bought these from but i'm sure you can find some in your nearest Boots or Superdrug at a reasonable price! So this month I have just really loved curling my lashes as it adds so much volume to your lashes without looking unnatural. 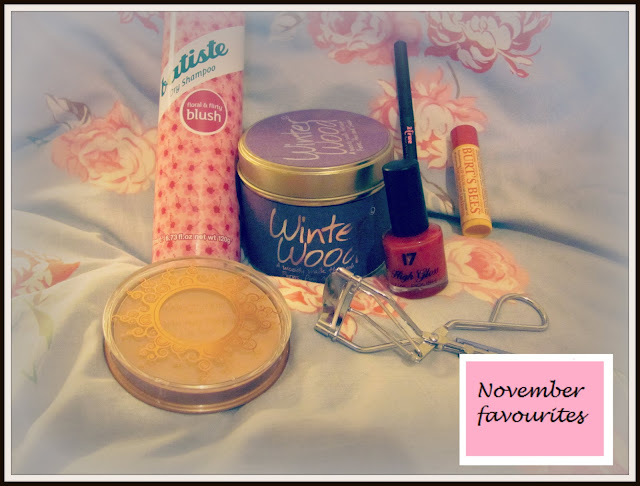 I never used to use them that much but I have really enjoyed using them this month! Now time for a few of songs that I have been listening to on repeat this month! Favorite girl- The Icarus account- So beautiful! Literally one of my favourite songs ever! Better together- Jack Johnson- Ahhhh so lovely!! So I hope you had a lovely November and I hope you've all got your advent calendars and are looking forward to the big day! Thankyou ever so much for reading this! As I am so new to this, feel free to leave a comment letting me know how I can improve! As I haven't posted in a while I thought I would just show you what I picked up today after I got my hair trimmed. The first shop I went into was BodyCare, a shop which I am a huge fan of as their prices are amazing and they stock so much! Today I picked up a couple of glade candles 'Spiced apple' and 'Glistening snow' which I thought looked and smelt so Christmas-sy! They were £1.85 which I thought was so cheap! Especially in comparison to other candles such as Yankee ones, which I love but can't afford! I am already incredibly excited for Christmas so I bought these in hope that they might speed up the wait! Both scents are gorgeous and very festive! 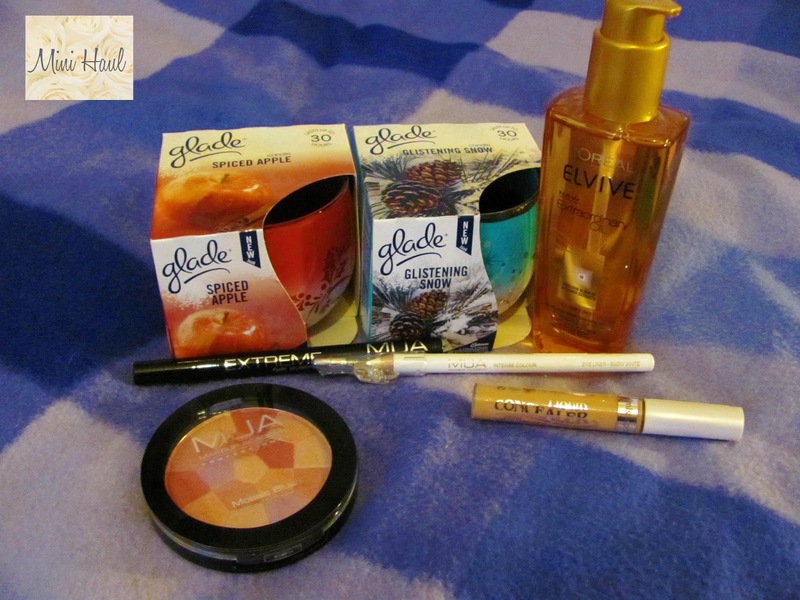 I then went into Boots where I bought the 'Elvive extraordinary oil' which after hearing numerous praise for I was desperate to get my hands on it! My hair is rather frizzy so i'm hoping that this might smooth it down and add a glossy shine to it! An added bonus was that it was only £6.99 whereas usually it's around a tenner. I also bought from Boots, the Miss Sporty Liquid Concealer which is a repurchase since my last one ran out. I am very fond of this concealer as it is only £1.99 and exceptionally good quality. As much as I love the famous Collection 2000 Concealer, I feel bad for Miss Sporty! I think that they're so underrated! Therefore I tend to go for their concealers! Lastly I popped into Superdrug initially to simply buy the MUA Mosaic Blush. I think it looks so pretty with the combination of lilacs, peaches, and various shades of pinks along with the fact that it is only £2.50. However at the counter the Lady told me they were having 3 for 2 on all makeup ranges so of course I went back and picked up MUA Intense Colour Eyeliner in Snow White as I have heard that applying white eyeliner to your lower lash line makes you appear more awake so I thought i'd give it a try at £1! Then I found the MUA Extreme Felt Eyeliner. From past experiences, I have found that my ability to apply liquid eyeliner is very poor! I can't do it! So i'm hoping this one at £2 will be a tad easier! !